Order in next 4 hours and 15 minutes for despatch today. Leather Briefcase Handle in burgundy or black. 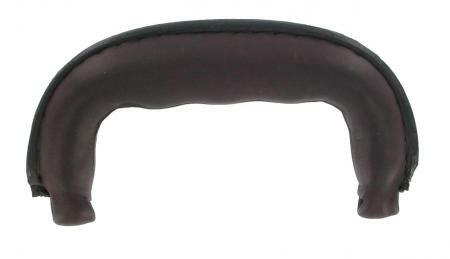 This replacement leather handle is widely used on traditional English briefcases and attache cases. It is available in burgundy or black leather (make your choice from the pull down menu below). No fittings supplied. The approximate inside measurement is approximately 94mm and the approximate outside measurement is 119mm. Please pay particular attention to the width of handle you need, as it is critical on this type of rigid handle.